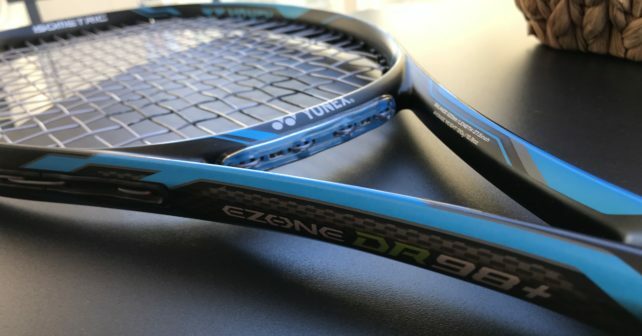 Yonex DR 98+ Racquet Review - Is it as good as everyone says it is? Despite my ongoing injury concern I have been hitting the courts a few times for some light sessions and I have been using the time to test racquets. One of those racquets is the Yonex DR 98+ and I wanted to write a short Yonex DR 98+ racquet review. The Yonex DR 98+ is the extended version of the bestselling racquet Yonex DR 98 (which I review here). It became a bit famous when Chris and Andy from the Tennis Warehouse play-test team switched to it after their review. I have been curious about it ever since, but it has been hard to get a hold of in Europe, so the review has been “delayed”. Now I have hit quite a bit with the Yonex DR 98+, and can share some of the enthusiasm of the TW team. It is a great stick in many ways but it does require quite a bit from the user. 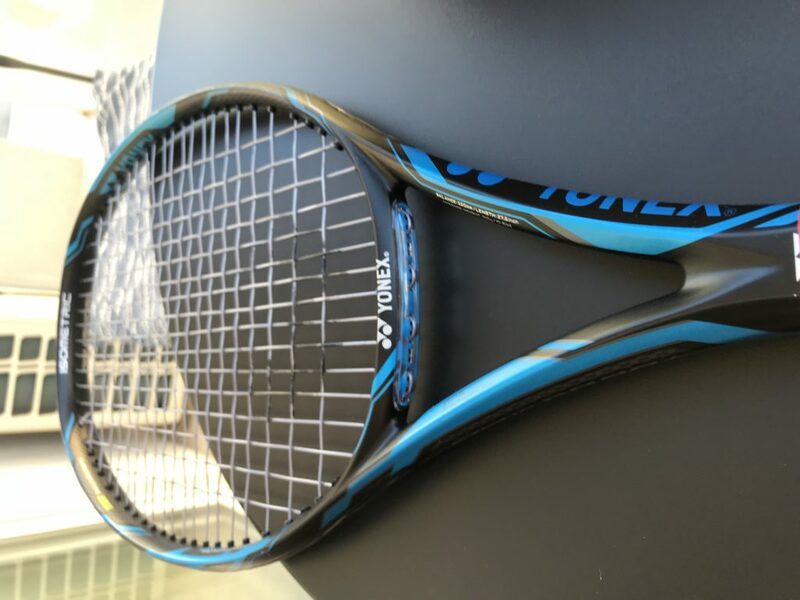 Yonex DR 98+ Racquet Review – What is different? The regular Yonex DR 98 plays really nice, but without lead tape I struggled to get a really nice skidding slice with it, and it did feel slightly stiffer than the predecessor, Yonex Ai 98 (which I used for a while and wrote about here). Although I thought the stiffer hoop would benefit some players (more power and stability) it was not enough to switch to it. Like in the Tennis Warehouse Yonex DR 98+ racquet review, I can confirm that the extended version plays plusher, with a higher swing weight and helps you a lot on serve. It did feel like launch angle was lower and the spin potential was not as good as the standard version. The extra swing weight of the Yonex DR 98+ helps you a lot with stability and getting more depth and weight on your shots however. Some will love this, others might think the extended weight makes it more clunky and hard to wield. In fast volley exchanges, the DR 98+ will probably not be your best friend so I would hesitate to recommend it for doubles players. As you can see the swing weight is noticeably higher, from 324 on the standard version to 335 on the extended version. This does not sound like much, but it does make for a significantly harder-to-swing racquet. However, if you have the strength and legs for it, it will add great value to your strokes. I appreciate that the racquet feeling is much more solid than the standard length DR 98. POWER: 8/10 – A nice blend of control and power here. CONTROL: 8/10 – See above. MANOEUVRABILITY: 5/10 – Not the easiest racquet to swing. TOUCH: 8/10 – Nice and plush. COMFORT: 8/10 – Even with a Solinco Tour Bite, which is a stiffer poly, it was comfortable. SPIN: 6/10 – Not as much spin potential as in the standard length. VOLLEYS: 7/10 – Stable, but not fast at the net. SERVE: 9/10 – Boom shakalak! The extra length makes for a power serving tool. SLICE: 8/10 – Nice knife slice with this racquet. OVERALL: 8/10 – A really nice racquet for the player who can handle it. Got more comfort than a Babolat Pure Drive Tour Plus (read my review) and packs a big punch without the stiffness. The swing weight and extended length is something to think about unless you are already playing with a similar racquet, so a demo (if possible) is a good idea. Have you tried the Yonex DR 98+? What do you think of it? Let me know in the comments below. SV 98+ was for me even better a bit. Easier to swing mainly. I got more accuracy, better depth. I’m on the new Ezone 90+ from a while and I’m so thrilled that I already sold my hard to find in Europe SV98+ and DR98+. Oh no, now I need to try the Ezone 98+ too 🙂 Happy you’ve find the Ezone 98+ to be a good mix of the too. 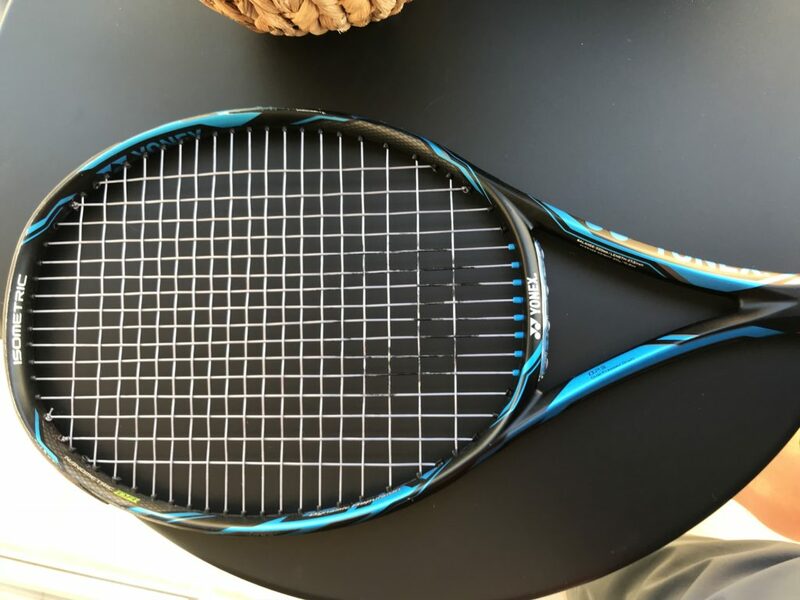 Hi, do you still have the Yonex DR 98+ rackets et for sale? If yes, what is the cost including shipping to New Zealand. Cheers.